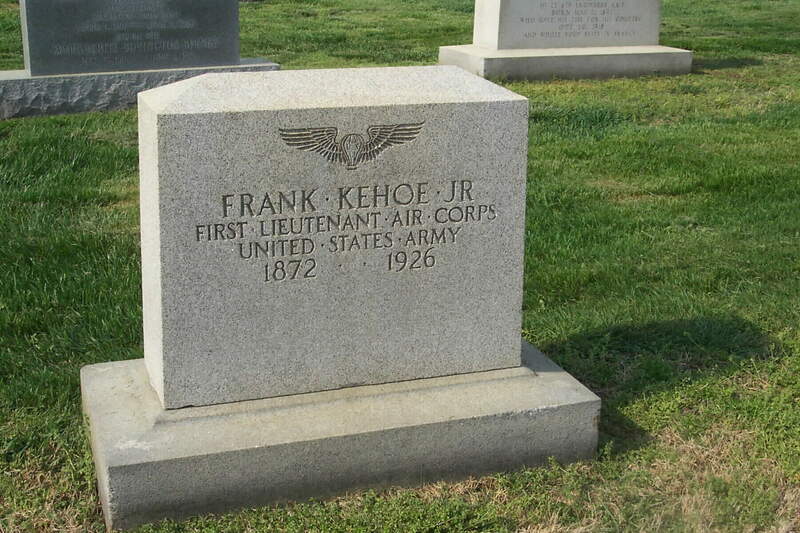 Frank Kehoe was born in 1872 and was an early Army aviator (Baloon or Lighter-Than-Air). He was serving as a First Lieutenant in the Air Corps when he died in 1926. Frank Kehoe Jr. was born 26 April 1872 in New York, New York, the son of Frank and Hattie Draper Kehoe. He married Lorraine Anna Muir on 15 November 1911 at Omaha, Douglas County, Nebraska. He died in Washington, D.C. on 14 October 1926.